Follow on the recent release of Sharp WillCom’s MID (Mobile Internet Device) based on Intel Atom processor, there are more and more PC manufacturers have engaged with Intel to get their first hand on the newly released ultra low power processor for their new product lines. Similarly, Portwell, a famous Taiwanese PC manufacturer has just developed and demonstrated a brand new UMPC (Ultra Mobile PC) prototype based on the famous Intel Atom processor. Named as UMPC-2710, it is designed to be small form factor, ultra low form factor and targeted for high end mobile market. The second largest global microprocessors supplier after Intel Corporation, Advanced Micro Devices (AMD), has established a new and significant milestone in the company’s history by introducing its first computer lately. This new AMD branded computer is designed to target particularly the small and medium-sized businesses after having studied, analyzed and incorporated the need of modern technology in business. 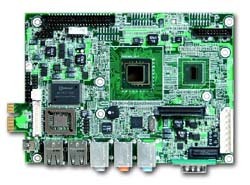 Have you even seen computer module that can be plugged into SODIMM interface? SODIMM interface is typically designed for external memory module to be plugged on the motherboard. But now the 200-pins interface usage has been extended to support the main core processor so that it is upgradeable in a later stage when existing processor no longer suits your need. 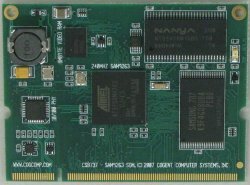 Known as CBS737, the SOM (system-on-module) is developed by Cogent Computer Systems and is ready for embedded market. Previously we talked about Sharp Willcom UMPC, now the Taiwan-based PC manufacturer, Nexcom has also prototyped the first industrial standard tablet PC based on Intel Atom processor. Codenamed as MTC2100, it will be positioned to target at various market segments with three different models at slightly specification variation. Anyway, all of them shared the same advantages – fanless design, small form factor powered with an energy efficient processor. Data backup is important especially when dealing with highly important and company confidential documents. 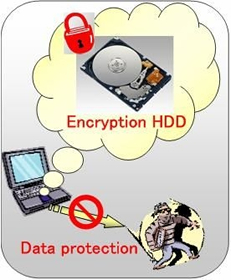 Besides, data encryption is another step to ensure those backup data will not be seen or copied by someone else intentionally. Fujitsu is seeing the needs of combining both features to come out with the new version of hard disk drive for consumer market. Named as MHZ2 CJ series, it is the world’s first 2.5-inch Hard Disk Drive featured with Hardware Encryption for enhanced data security protection. The data storage pioneer and a longtime leader in the hard drive industry, Western Digital has announced the launch of its new, next generation hard drives – WD VelociRaptor (model:WD3000GLFS). 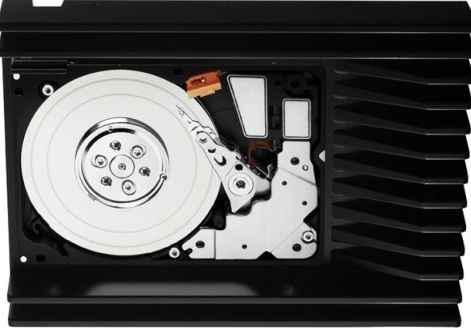 It’s the 300GB, 10,000rpm SATA 2.5-inch performance drive based on the company’s enterprise-class drive technology. The world’s largest independent manufacturer of memory products, Kingston Technology Company has recently announced the launch of the new, ultra-secure DataTraveler BlackBox, which is Kingston’s first Federal Information Processing Standard (FIPS)-validated USB Flash drive, aiming to protect your organization’s portable data and comply with data-at-rest agency directives. The world’s leading manufacturer of notebooks, motherboards, graphics cards and wireless equipment, Asus has recently unveiled its new notebook – Asus U6Ep, which sports a 12.1-inch glare-type widescreen with exclusive Splendid Color Enhancement Engine, Intel Core 2 Duo T9300 processor (2.6GHz), Intel GM965 Express chipset, Intel GMA X3100 graphics, DDR2 667MHz memory, 160GB Hybrid storage with 256MB Flash, built-in WLAN 802.11 a/b/g/n and Bluetooth 2.0, aiming to deliver the best mobile performance ever.